We have a wide range of customers whom we provide an ever wider range of services for. Take a look at some local clients we’ve helped keep online and up to date! y are far too busy to squeeze that in. Maxicrop dates back to 1952 and as you can imagine, has been blooming ever since. By keeping them online we are able to assist in the growth of their client base and the promotion of their fantastic product and work. 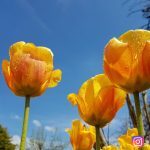 We are able to showcase their triumphs on Instagram, keep followers updated with news on Twitter, open up another world of connection with Facebook and much more. This is a service we provide for companies with their hands full that wish to expand their horizons from a small area. As a world wide phenomenon, social media is key for the growth of any company in the modern age. Whatever site you wish to be present on, we have the knowhow to support you. Visit Maxicrop’s website to see just what we’ve achieved together. At Tractor Spare Parts we connected up a VoiP phone system. From initial instalment we set up individual IP addresses for each device as well as testing and configuring each new Ethernet device into their original analogue phone system. So each and every device responds to the correct number, we ensured calls were incoming and outgoing correctly, therefore making their new systems more accessible and efficient. Tractor Spare Parts specialise in BMC Engine Parts as well as parts for Nuffield, Leyland, Marshall tractors and JCB Digger parts. They provide parts across the country and can be contacted through their new and improved phone line. Our technicians have the knowledge and experience to install WiFi, phone systems, servers and more to help improve your business. We have also make other adjustments at Tractor Spare Parts, such as an entirely new office set up and increased wireless system to accommodate to the large space they operate in. 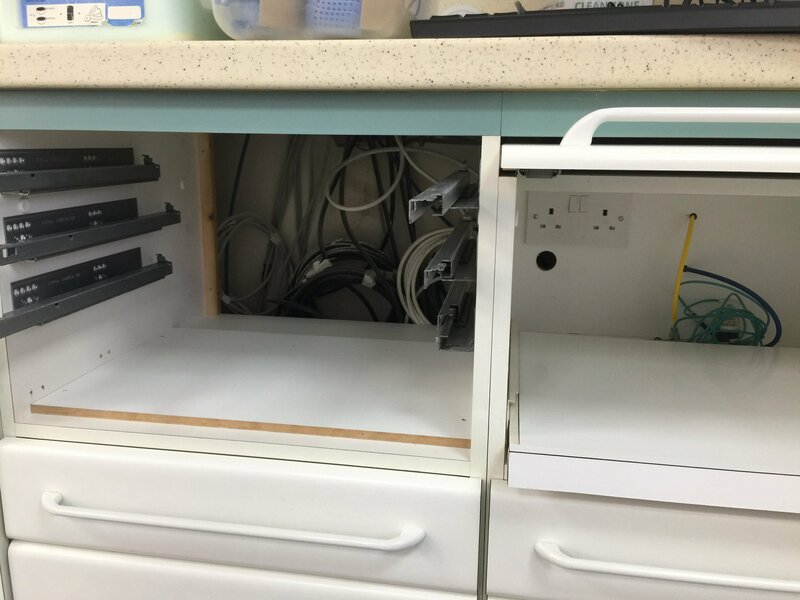 During office set up – It was a big job as the entire office needed rewiring to suit the new system and ensure a clean and tidy set up once the monitors moved back in. After office set up – A nice spacious and tidy office, connected to a new wireless system across the entirety of their vast grounds of operation. Wireless installation – By installing two new access points we have increased the WiFi radius across the workspace. From the main office, right out to the open work spaces. Visit Tractor Spare Parts webpage to see what they’re all about. Ashbourne Dental Practice is a popular and busy Dental provider and needed to improve their efficiency to accommodate to the quantity of appointments they were having. We set up a screen and computer system within the surgery to make this possible. 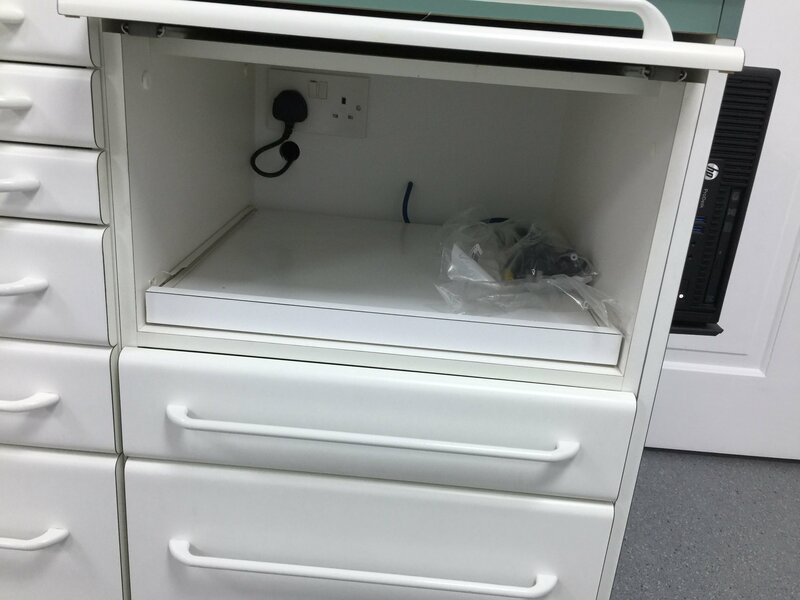 This now allows patient files and sensitive details to be kept electronically and easily accessed from room to room without the need for any delay. 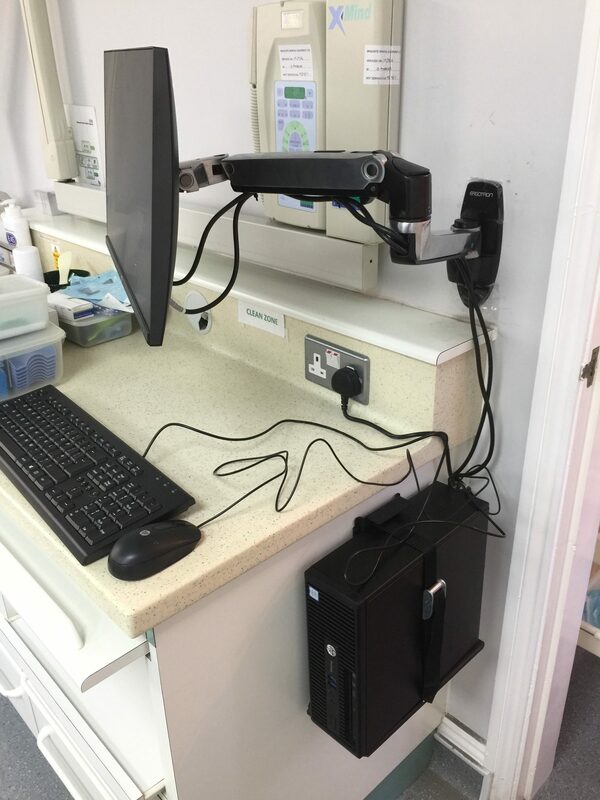 The set up is compact and neat to ensure there is still plenty of workspace within the surgery to work in, ensuring the practice is not disrupted in anyway by it’s new online system. You can visit the Ashbourne Dental Practice website here. We have completed many installations and desktop set ups in our 13 years in business, from big business to the individual home. These are just a few of our most recent and biggest projects. If you’re interested in a similar service or have a job that requires special attention, give us a call on 01335 81 80 81 or drop us an enquiry. Our aim is to make I.T. easy for all!